Manchester United striker Romelu Lukaku is open to a move away to Juventus. Lukaku, who joined United in the summer of 2017 from Everton for £75million, has received criticism over recent weeks. He hasn’t been able to find a good run of form, having only scored four times in 11 appearances. The 25-year-old is said to be frustrated with his time at United, particularly with Jose Mourinho as the club’s manager. Lukaku, who is contracted to United until June 2022, could also be lured to Italy with his brother, Jordan, already playing for Lazio as a left back. 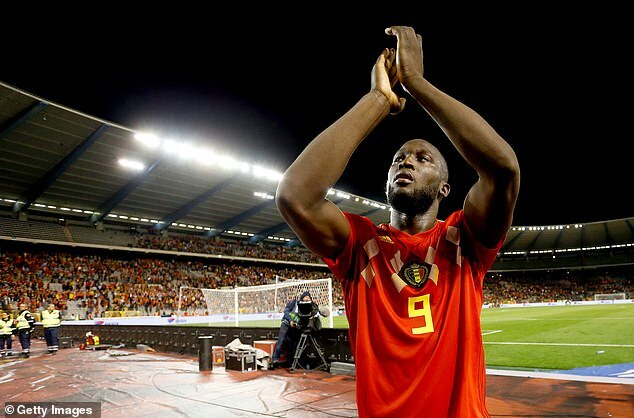 But Romelu believes if he was to move to Italy, he would opt for the current Serie A champions because of their success and a chance to play with Cristiano Ronaldo. He said: ‘Juve have a great project in place and they just keep going. Every year they try to get stronger. ‘Without doubt, Juve are one of the two-three best teams in Europe. ‘They’ve got a great coach on the bench and extraordinary players in every area of the team. ‘ Cristiano Ronaldo stands out, but watch out for the others too. Paulo Dybala is already impressive and getting stronger, while I love Douglas Costa.